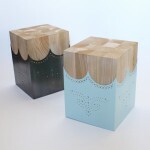 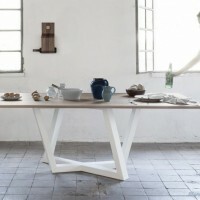 Designer Chiara Pellicano has created a table named Dedalo for manufacturer Formabilio. 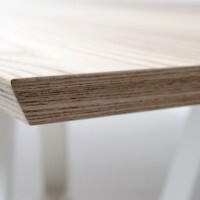 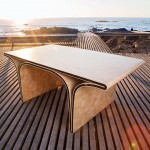 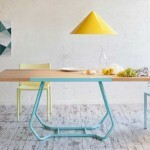 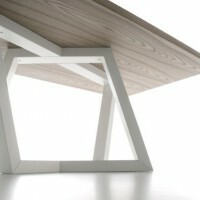 Description Dedalo is a table that combines innovative design, elegance and functionality. 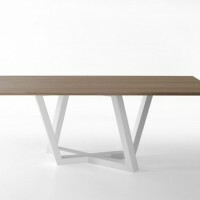 The intersection of the trapezoidal shapes, that sustains the table top, the contrast between finishings and volumes, the essentiality of the lines, give dynamicity and create geometric tricks between solidity of the top and the leg motion that attracts the attention. 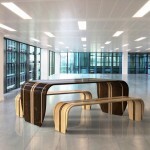 Its design enhance the environment where it is placed and at the same time is a functional piece of furniture. 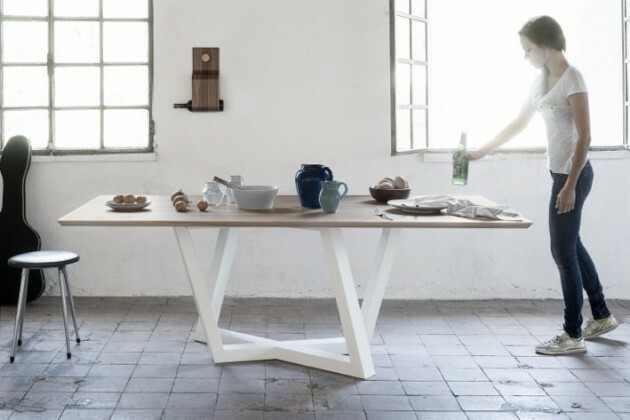 Thanks to the particular legs that give a lighter appearance and do not impede the chair placement, Dedalo able to accommodate generously up to 8 persons for lunches or dinners dedicated to comfort and hospitality.